This article is about the 20th-century British protectorate. For the medieval Mamluk state, see Mamluk Sultanate (Cairo). 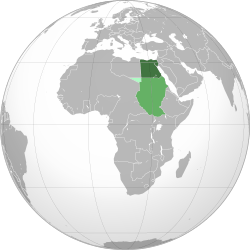 The Sultanate of Egypt (Arabic: السلطنة المصرية‎‎) is the name of the short-lived protectorate that the United Kingdom imposed over Egypt between 1914 and 1922. Opposition to European interference in Egypt's affairs resulted in the emergence of a nationalist movement that coalesced and spread after the British military intervention and occupation of 1882. The immediate causes of what is known to Egyptians as the 1919 Revolution, however, were British actions during World War I that caused widespread hardship and resentment. Specifically, these included Britain's purchase of cotton and requisitioning of fodder at below market prices, Britain's forcible recruitment of about 500,000 peasants into the Egyptian Labour Corps and the Egyptian Camel Transport Corps in the Egyptian Expeditionary Force, and its use of the country as a base and a garrison populated by British, Australian, and other troops. After the war, Egypt felt the adverse effects of soaring prices and unemployment. When the war ended, the nationalists began to press the British again for independence. In addition to their other reasons, the Egyptians were influenced by American president Woodrow Wilson, who was advocating self-determination for all nations. In September 1918, Egypt made the first moves toward the formation of a wafd, or delegation, to voice its demands for independence at the Paris Peace Conference. The idea for a wafd had originated among prominent members of the Umma Party, including Lutfi as Sayyid, Saad Zaghlul, Muhammad Mahmud Pasha, Ali Sharawi, and Abd al Aziz Fahmi. On 13 November 1918, thereafter celebrated in Egypt as Yawm al Jihad (Day of Struggle), Zaghlul, Fahmi, and Sharawi were granted an audience with General Sir Reginald Wingate ('Wingate Pasha'), the British High Commissioner. They demanded complete independence with the proviso that Britain be allowed to supervise the Suez Canal and the public debt. They also asked permission to go to London to put their case before the British Government. 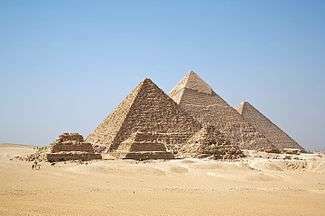 On the same day, the Egyptians formed a delegation for this purpose, Al Wafd al Misri (known as the Wafd), headed by Saad Zaghlul. The British refused to allow the Wafd to proceed to London. On 8 March, Zaghlul and three other members of the Wafd were arrested and thrown into Qasr an Nil prison. The next day, they were deported to Malta, an action that sparked the popular uprising of March/April 1919 in which Egyptians of all social classes participated. There were violent clashes in Cairo and the provincial cities of Lower Egypt, especially Tanta, and the uprising spread to the south, culminating in violent confrontations in Asyut Province in Upper Egypt. The deportation of the Wafdists also triggered student demonstrations and escalated into massive strikes by students, government officials, professionals, women, and transport workers. Within a week, all of Egypt was paralysed by general strikes and rioting. Railway and telegraph lines were cut, taxi drivers refused to work, lawyers failed to appear for court cases, and demonstrators marched through the streets shouting pro-Wafdist slogans and demanding independence. Violence resulted, with many Egyptians and Europeans being killed or injured when the British attempted to crush the demonstrations with force. On 16 March, between 150 and 300 upper-class Egyptian women in veils staged a demonstration against the British occupation, an event that marked the entrance of Egyptian women into public life. The women were led by Safia Zaghlul, wife of Wafd leader Saad Zaghlul; Huda Sharawi, wife of one of the original members of the Wafd and organiser of the Egyptian Feminist Union; and Muna Fahmi Wissa. Women of the lower classes demonstrated in the streets alongside the men. In the countryside, women engaged in activities like cutting rail lines. The upper-class women participating in politics for the first time assumed key roles in the movement when the male leaders were exiled or detained. They organised strikes, demonstrations, and boycotts of British goods and wrote petitions, which they circulated to foreign embassies protesting British actions in Egypt. The women's march of 16 March preceded by one day the largest demonstration of the 1919 Revolution. More than 10,000 teachers, students, workers, lawyers, and government employees started marching at Al Azhar and wound their way to Abdin Palace where they were joined by thousands more, who ignored British roadblocks and bans. Soon, similar demonstrations broke out in Alexandria, Tanta, Damanhur, Al Mansurah, and Al Fayyum. By the summer of 1919, more than 800 Egyptians had been killed, as well as 31 Europeans and 29 British soldiers. General Wingate, the British High Commissioner, understood the strength of the nationalist forces and the threat the Wafd represented to British dominance and had tried to persuade the British Government to allow the Wafd to travel to Paris. However, the British Government remained hostile to Zaghlul and the nationalists and adamant in rejecting Egyptian demands for independence. General Wingate was recalled to London for talks on the Egyptian situation, while Sir Milne Cheetham was appointed Acting High Commissioner in January 1919. When the 1919 Revolution began, Cheetham soon realised that he was powerless to stop the demonstrations and admitted that matters were completely out of his control. Nevertheless, the government in London ordered him not to give in to the Wafd and to restore order, a task that he was unable to accomplish. London decided to replace Wingate with a strong military figure, Field Marshal Sir Edmund Allenby (later created 1st Viscount Allenby in October of that year), one of the greatest British heroes of World War I. He was named special high commissioner and arrived in Egypt on 25 March. The next day, he met with a group of Egyptian nationalists and ulama. After persuading Field Marshal Allenby to release the Wafd leaders and to permit them to travel to Paris, the Egyptian group agreed to sign a statement urging the people to stop demonstrating. Allenby, who was convinced that this was the only way to stop the revolt, then had to persuade the British government to agree. On 7 April, Zaghlul and his colleagues were released and set out for Paris. In May 1919, Lord Milner was appointed to head a mission to investigate how Egypt could be granted "self-governing institutions" while maintaining the protectorate and safeguarding British interests. The mission arrived in Egypt in December 1919 but was boycotted by the nationalists, who opposed the continuation of the protectorate. The arrival of the Milner Mission was followed by strikes in which students, lawyers, professionals, and workers participated. Merchants closed their shops, and organizers distributed leaflets urging the Egyptians not to co-operate with the mission. Milner realised that a direct approach to Zaghlul was necessary, and in the summer of 1920 private talks between the two men took place in London. As a result of the so-called Milner-Zaghlul Agreement, the British Government announced in February 1921 that it would accept the abolition of the protectorate as the basis for negotiation of a treaty with Egypt. On 4 April 1921, Zaghlul's return to Egypt was met by an unprecedented welcome, showing that the vast majority of Egyptians supported him. Allenby, however, was determined to break Zaghlul's political power and to build up a pro-British group to whom Britain could safely commit Egyptian independence. On 23 December, Zaghlul was deported to the Seychelles via Aden. His deportation was followed by demonstrations, violent clashes with the police, and strikes by students and government employees that affected Cairo, Alexandria, Port Said, Suez, and provincial towns like Tanta, Zifta, Az Zaqaziq, and Jirja. On 28 February 1922, Britain unilaterally declared Egyptian independence without any negotiations with Egypt. Four matters were "absolutely reserved to the discretion" of the British Government until agreements concerning them could be negotiated: the security of communications of the British Empire in Egypt; the defence of Egypt against all foreign aggressors or interference, direct or indirect; the protection of foreign interests in Egypt and the protection of minorities; and Sudan. Sultan Ahmad Fuad became King Fuad I, and his son, Faruk, was named as his heir. Field Marshal Lord Allenby remained on, until 1925, as British High Commissioner. On 19 April, a new constitution was approved. Also that month, an electoral law was issued that ushered in a new phase in Egypt's political development—parliamentary elections. This article incorporates public domain material from the Library of Congress document: Mary Ann Fay (December 1990). Helen Chapin Metz, ed. "Egypt: A country study". Federal Research Division. Egypt under the Protectorate and the 1919 Revolution. ↑ Bonné, Alfred (2003) [First published 1945]. The Economic Development of the Middle East: An Outline of Planned Reconstruction after the War. The International Library of Sociology. London: Routledge. p. 24. ISBN 978-0-415-17525-8. OCLC 39915162. Retrieved 9 July 2010. ↑ Tanada, Hirofumi (March 1998). "Demographic Change in Rural Egypt, 1882–1917: Population of Mudiriya, Markaz and Madina". Discussion Paper No. D97–22. Hitotsubashi University: Institute of Economic Research. Retrieved 9 July 2010.